Packbasket Lodge rents Liquid Logic kayaks in sport, excursion, tandem and angler styles. To Guests of Packbasket Lodge 2. To folks who can pick up and drop off on their own 3. To Folks who are taking off from Wanakena or the canoe access on the Oswegatchie River. 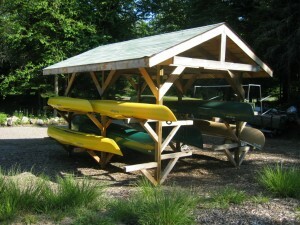 Kayaks can be dropped off and picked up from those two points for a fee.